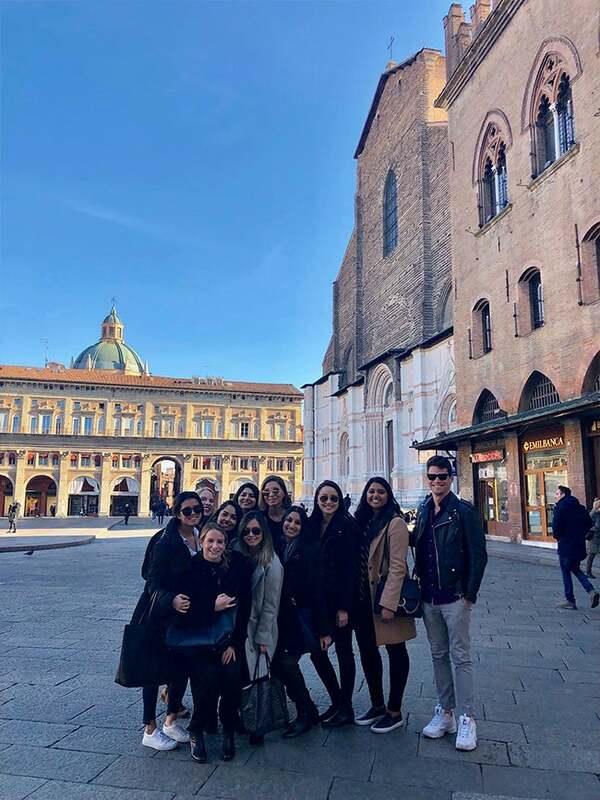 In January, students in NYU Stern’s Fashion & Luxury MBA Program traveled to Milan for an opportunity to learn, network and explore one of the European capitals of the fashion and luxury industry. 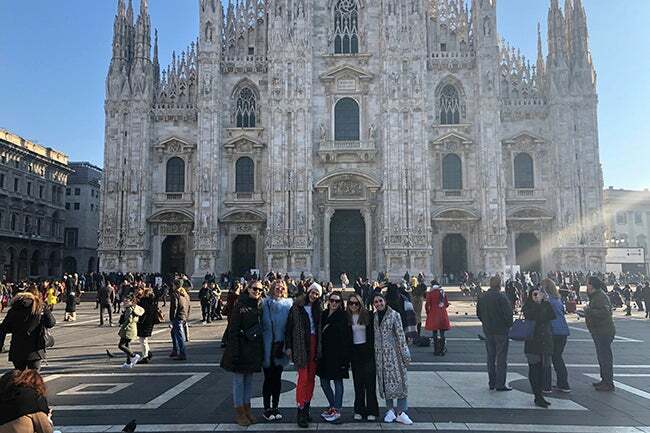 The Milan immersion is part of the required experiential coursework for the focused one-year program and exposed students to luxury in the global context. 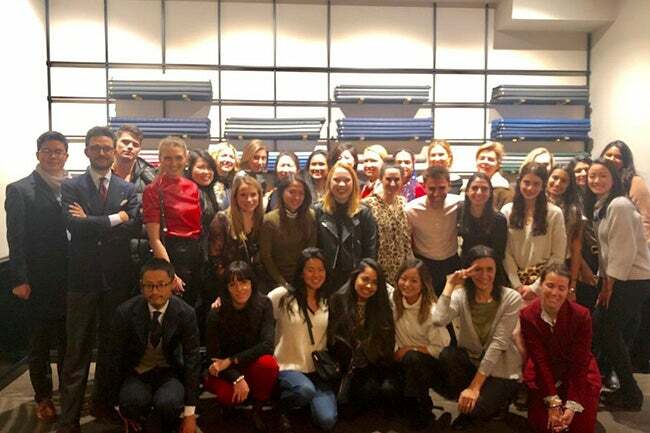 The immersion was a component of Professor Thomaï Serdari’s course, “International Immersion Luxury Fashion: Milan,” which included a week in New York City followed by a week at SDA Bocconi in Milan, where students explored class topics including the evolution of Italian brands; the direct to consumer challenge; industry 4.0 and the impact of digital transformation on the Italian Altagamma districts; and the fine food industry in Italy, among others. 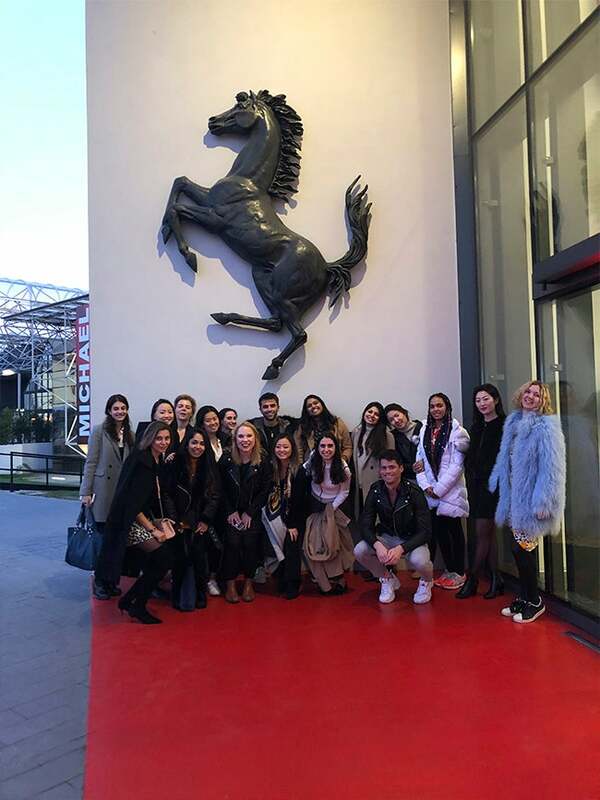 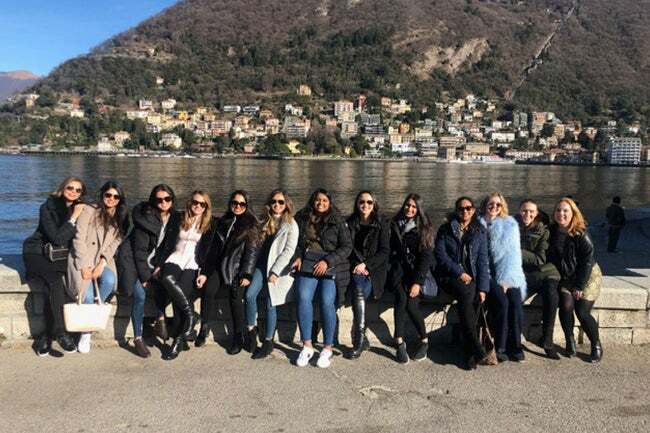 As part of the course, students embarked on several corporate visits to brands including Ferrari, Lamborghini, Mantero and Vitale Barberis Canonico, as well as tours of Fondazione Prada and the Serravalle Designer Outlet.